Phonetic – “FUN Steps” gives the beginning reader the tools to successfully read and spell short-vowel words, words with consonant blends (st, nd, etc.) or digraphs (sh, th, etc.) and words using several long-vowel rules. This is balanced with the teaching of many commonly used sight words. 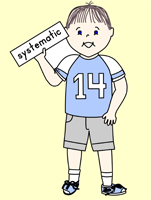 Systematic – A goal in developing “FUN Steps” was to teach reading in a logical manner. The order in which letters are introduced is based on the ease of distinguishing their sound, and the frequency of their use in words, with every fourth letter being a short vowel. Each Minibook is based on a different short vowel, with much practice provided before the sixth book introduces long-vowel rules. Lessons include only text, which the student has been given the skills to successfully read. Difficult words in a story are first introduced and practiced in blending and spelling exercises. Balanced -"FUN Steps" provides a balance between written work and hands-on activities. Many ideas are provided, with the thought that you will use what fits your style and the needs of your child. While the phonics program is very strong and the students who are developmentally ready will learn to be good readers, the learning is "wrapped" in fun, active, age-appropriate activities. The pace, itself, is balanced, not overwhelming to any child, yet full of interesting activities, songs and games. Complete - The "FUN Steps" program provides a wealth of games and activities. Each uses only the phonemes and rules that have been taught to that point, so they fit the skill level of the child. Many of the games relate to the literature used that week, as well as the phonics or language skill taught. Learning styles - “FUN Steps” includes a variety of learning experiences in order to provide for the various learning styles and meet the needs of each individual student. 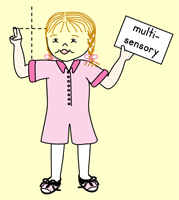 Multi-sensory –“FUN Steps” involves many senses in the teaching of letters and phonetic sounds. Children see the letter form and hear the name and sound of each letter as they say it and write it in the air. This method is an active part of our “warm -up” before reading. 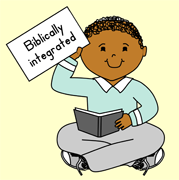 Biblically integrated - One of the joys of teaching your children at home is the privilege, and responsibility, you have of presenting all truth as having its source in our great God! 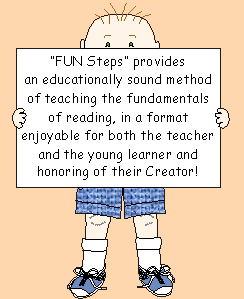 Throughout the pages of the “FUN Steps” teacher’s manual are many “Truth Ties” which provide a connection between Scripture or a biblical truth and the lesson being taught. 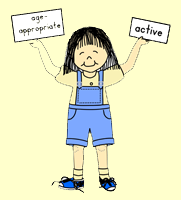 Beyond ABC - As well as providing a strong phonics program, "FUN Steps" keeps the interest of the gifted learner by introducing many language components through age-appropriate activities. The goal is to excite your child about words and reading. Although mastery is never expected in this area, many children catch on quickly and enjoy finding nouns, adjectives and verbs, as well as synonyms, homophones, palindromes, onomatopoeia words, and more! Teacher Friendly - Written by a K teacher, "FUN Steps" keeps the needs of the teacher in mind. Much effort has been made to make directions clear and complete. Many suggestions have been added, including "Kids' Cues", terms or rhymes which appeal to Kinders and help them remember specifics. Since many teachers, as well as students, are visual learners, illustrations help clarify details throughout the manual.